At last an effective treatment for head lice that will not irritate the skin. A blend of natural oils, essential oils and aloe vera to remove head lice fast and easy. 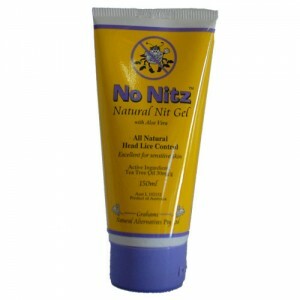 No Nitz is pesticide and chemical free, easy to use and ideal for those with sensitive skin. Tea Tree Oil, Aloe Vera, Lavender Oil, Eucalyptus Oil, Lemon Tea Tree Oil, rosemary Oil. As with any product being used for the first time No Nitz should be patch tested before use.